It is that time of year again: the annual Portland Nursery apple tasting (this weekend and next), trips to local pumpkin patches for the October jack-o'-lantern, and treks down the Gorge for freshly-harvested apples and pears. 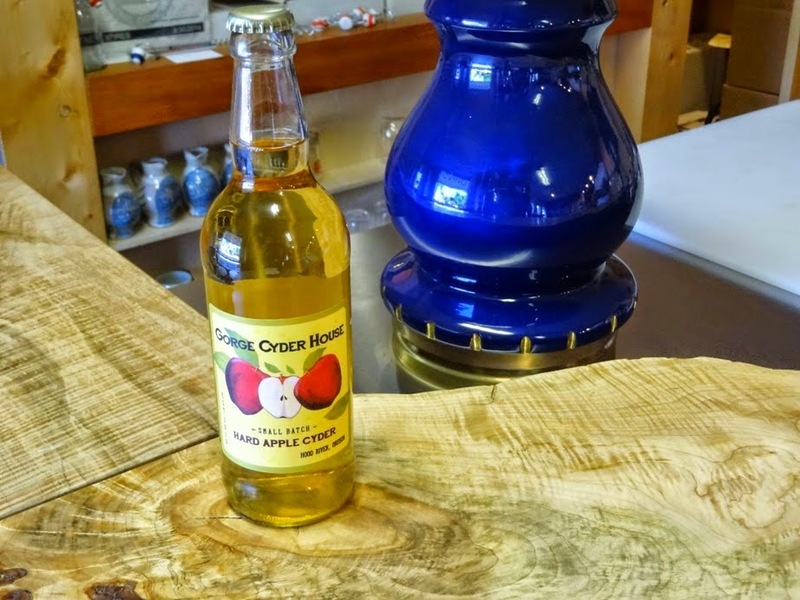 If you're doing that latter activity--and you should, it's fantastic this time of year--make time to stop into one or three of the local cideries that have cropped up there in the past few years. They're so new that most people aren't even aware they exist. Not only do they exist, but they're set up with nice little tasting rooms that make a perfect pit stop. To the extent anyone knows about the Gorge Cyder House, they're probably confusing it with the Gorge White House--a different cidery. The entire operation exists in a space the size of a pantry in the back corner of a little wine deli in the upper part of Hood River. And yet despite this modest set-up, cider-maker Stefan Guemperlein is managing to produce some of the best American ciders I've tasted. Guemperlein grew up in Bavaria, where his father made cider non-commercially. He mentions this mainly as an afterthought; at the time, it didn't capture his imagination. Instead, a trip to Northern Italy sparked his first love--wine. 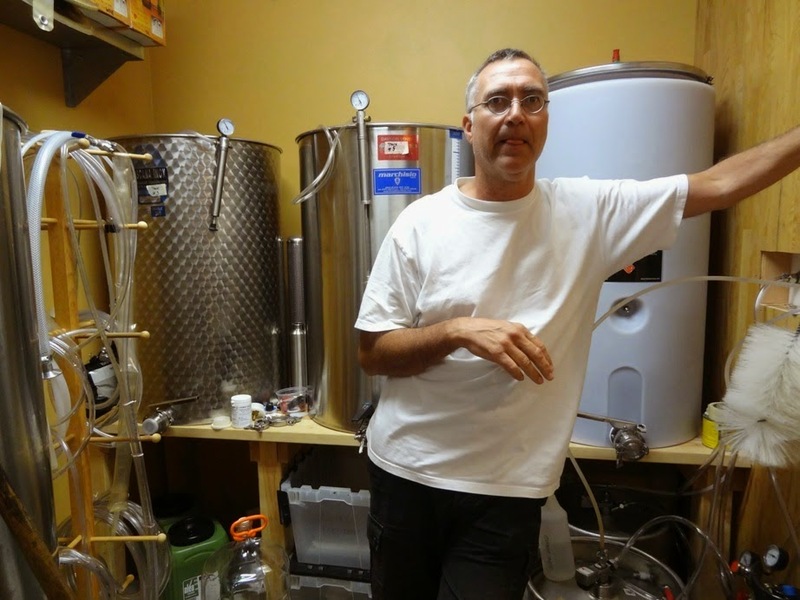 He started as a self-taught winemaker, and a few years after opening oVino, the wine deli, decided to expand to cider. Guemperlein doesn't own his own orchards, and so buys local apples, and "99% are table apples." He favors Jonagold and also uses Newtown Pippin, Braeburn, and some heirloom varieties when he can get them. It's the process that makes his ciders special: he uses natural fermentation and lets his ciders develop over the course of a year. Following the rhythm of the year, he presses in the fall and begins fermentation, which takes a month. After racking the cider, it slowly develop over the spring and summer. "Both slow esters and fruit emerge," Gumperlein says, but it's fermentation that creates the most flavor. The apples themselves are aromatic, giving some forest floor, but they are simple and appley. Natural fermentation gives the ciders a richer, earthier aroma and add peach and cherry fruit notes. Gorge Cyder makes three standard ciders, plain apple, hopped, and a cyser (honey cider). Of the three, Lost Lake Honey is the real stand-out. It has a lot of black pepper up front and then turns distinctly almondy. It's full-bodied and strong (7%), but finishes crisply. Great ciders, and a hidden gem in Hood River. No one will blame you if you can't remember where Mosier is. A little pocket of activity about five miles east of Hood River, Mosier's the kind of place you skip unless you have a reason to go there. There is a stretch of downtown, though, and along it you'll find a pretty little building that looks like it might have been a coffee shop once. That's the Rack and Cloth Mercantile, and it was a coffee shop until Silas Bleakley and Kristina Nance turned it into a focal point for the fruits of their farm. 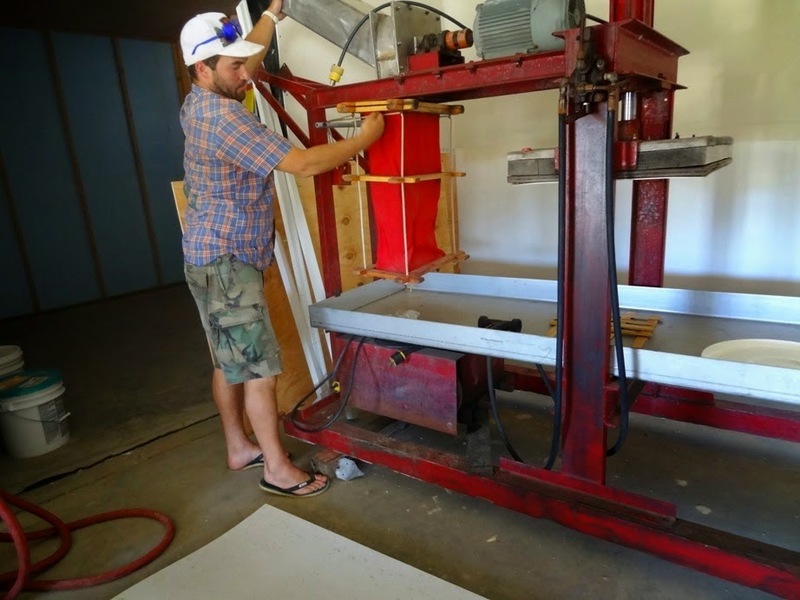 "We're trying to do closed-loop farming," Bleakley explained. At the Mercantile, you get more than just cider. Silas and Kristina have an expansive farm, and the food they serve is made from their farm. As we were chatting, Kristina sliced up fresh veggies and cheese. The menu follows the seasons. "We don't make the sauce for the pizza until the tomatoes are ripe," he said. This is the approach Bleakley takes into his cider-making. "It goes beyond cider--it's farming." Visitors who stopped in for a pint this summer recognized the downside to this approach; last year's stocks were running low so there was a limited amount available each day. Once the sixth barrel had blown, they were out of cider. (This year production will triple.) Bleakley has a background in winemaking, and it's evident in the sophisticated ciders he produces. The main cider is an elegant, sophisticated cider called Stony Pig. It reminds me a lot of a pinot gris. It's acidic and dry and marked by bright fruit flavors of peach and apricot. There's a vein of minerality that adds a quenching quality. 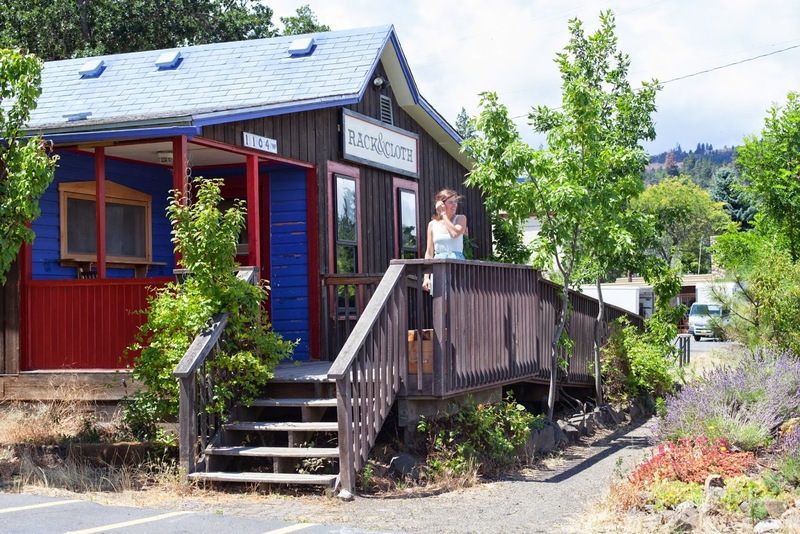 Bleakley is never going to make a lot of cider (he referred to Rack and Cloth as an "estate cidery"), so the surest way to try the cider--along with Guemperlein's, the best in the valley--is to trek to the little shop in downtown Mosier. It's well worth the trip.